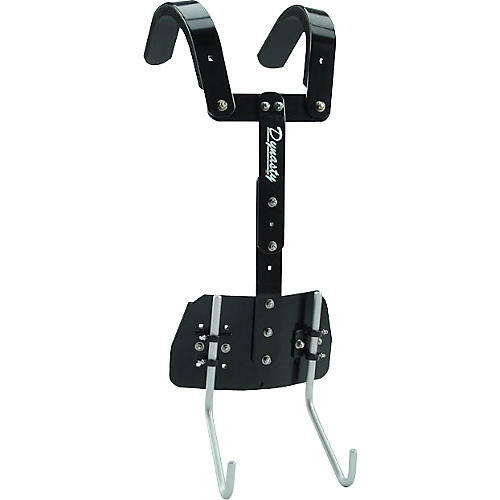 The Dynasty T-Bar multi-tom carrier is an amazing lightweight option for any marching percussion ensemble. When durability and affordability is a must this carrier delivers at the highest level. The P23-DTQB features the traditional J bar system that makes adjustability and hook up easy for the player. This package contains the T-Bar multi-tom carrier with J-bars, and the P23-TTILT "Tilter" kit for tenors.